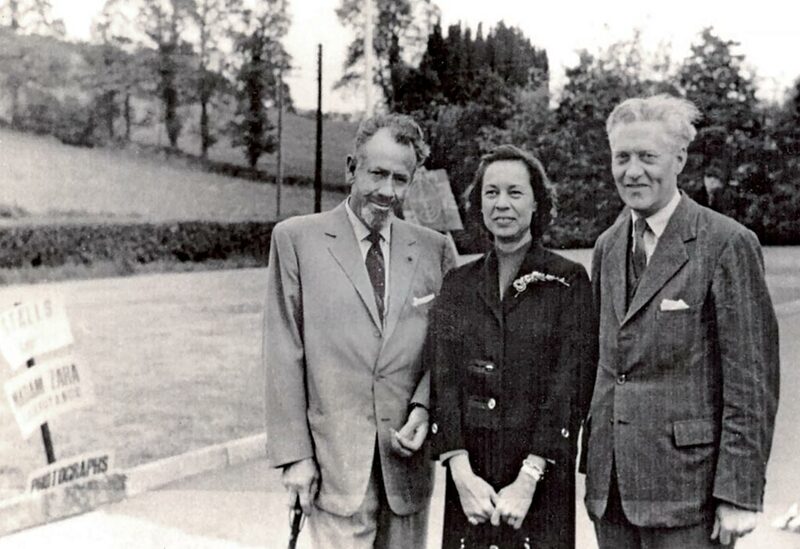 With his wife Elaine, the Nobel Prize-winning writer Steinbeck lived at Discove Cottage, Redlynch, just outside Bruton, from March to September 1959. The Acts of King Arthur and His Noble Knights, a retelling of the fifteenth-century Thomas Malory’s Arthurian romances, was written while he was resident in Somerset, and published later. 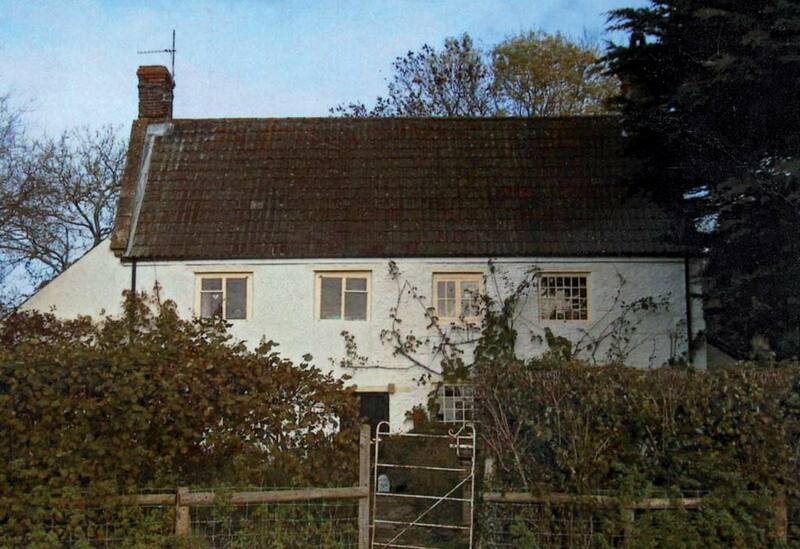 In his letters he romanticises a lot, asserting for instance that the cottage ‘was old when it was listed in Doomsday Book’, and from it ‘there is nothing in sight that hasn’t been here since the 6th century’ – a somewhat ludicrous statement. His grasp of etymology (the derivation of word meanings) is somewhat shaky, too. But his great love for the area shines through in every mention of it. On his deathbed he and Elaine wrote separate notes (not wanting to influence each other) to pick the happiest period of their lives: both said it was their stay in Bruton. Steinbeck’s writings included Tortilla Flat ((1935), Of Mice and Men (1937), The Grapes of Wrath (1939), Cannery Row (1945), East of Eden (1952), The Winter of Our Discontent (1961) and other novels, as well as non-fiction works. There follow excerpts from his letters to his literary agent Elizabeth Otis and various friends. All are written from Somerset in 1959, except the first and last. I am depending on Somerset to give me the something new which I need. We couldn’t have found a more perfect place. As I knew she would, Elaine is seeding Somerset with a Texas accent. She’s got Mr Windmill of Bruton saying you-all. At this moment she’s out in the gallant little Hillman, calling on the Vicar and getting in some booze. She’ll probably bring both back with her. The people here are strong and tough and like the way they are living, and I’m going to let them. We’ve only been in a little over a week but we are deeply in. It is a stone cottage…. It’s something to live in a house that has sheltered 60 generations. My little work room on the second floor overlooks hills and meadows and an old manor house, but there is nothing in sight that hasn’t been here since the 6th century. The Somerset speech is Anglo-Saxon with a lacing of Celtic – it is even pronounced in that way. For right here the two met and fought and later mingled…. A Somerset man in Bruton said disparagingly of another – ‘’E be mean-like. ’E be ’thout worship.’ Still the word ‘worship’ and used in its oldest sense. And the Anglo-Saxon syllables are all pronounced here. Great is said gre-at, meat is me-at. The countryside is turning lush as a plum. Everything is popping. The oaks are getting that red color of swollen buds before they turn gray and then green…. This is an ancient place. Elaineloves it, too. There’s a quality here that I haven’t known for very long. The twentieth century seems very remote. Malory wrote the stories for and to his time. Any man hearing him knew every word and every reference…. He simply wrote them for his time and his time understood them. And so … suddenly, in this home ground, I was not afraid of Malory any more nor ever will be again…. And as for place – the place has become not a little island set in a silver sea, but the world. Another week gone … with daily work and mail and spring coming, and gardening and going to Morlands at Glastonbury to see the processing of sheepskins as they have been done since prehistory. In the ancient back of Mr Windmill’s ironmongery there is a forge and tools from the Middle Ages. Mr Arthur Strand still uses them and he can make anything. He has become my pal. I may ask him to make me an axe or at least to adapt one. Maybe he will let me do it myself at his forge. I want an axe like the ones the Norse and Saxon warriors carried for war and work. The big Oxford [lexicon] I presented to Bob Bolt,* who found us this house. He is going to be a very important playwright and no better present could be given a writer. He was practically in tears. *Robert Bolt went on to write A Man for All Seasons (1960), Vivat! Vivat! Regina (1970) and screenplays for the films Lawrence of Arabia (1962), Dr Zhivago (1965) and Ryan’s Daughter (1970). 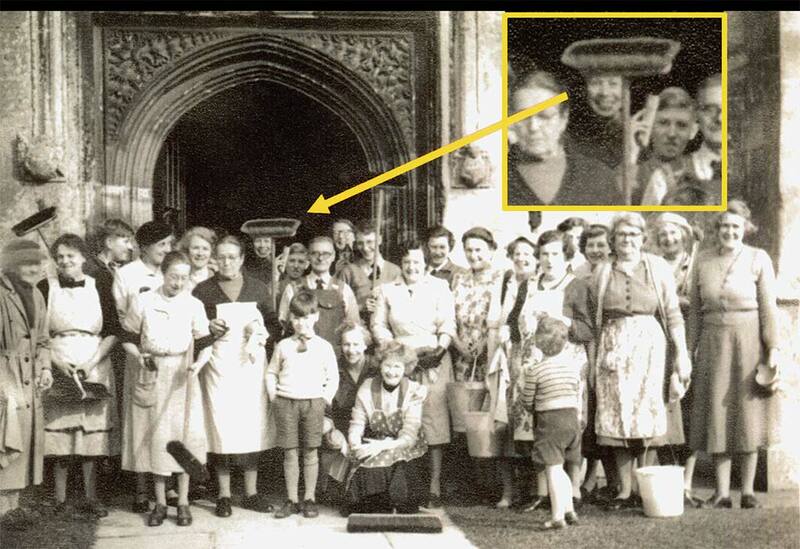 I am half through the revising of the Merlin.… The wife of one of the masters of King’s School is a good typist [her name was Sallie Vallins]. I would like to see this in type before I send it on to you. In London I ordered a table-top architect’s board that tilts. My table-top tilt board came. Makes a draftsman’s table of a card table. My neck and shoulders don’t get so damned tired. I hope to be able to go back and still keep something of what I have here. That’s all. Yesterday something wonderful. It was a golden day and the apple blossoms are out and for the first time I climbed up to Cadbury – Camelot. I don’t think I remember an impact like that. Could see from the Bristol Channel to the tops of the Mendip Hills and all the little villages. Glastonbury Tor and King Alfred’s Towers [sic] on the other side…. I’ll go back at night and in the rain, but this was noble gold even to use Tennyson’s phrase – mystic – wonderful. Made the hairs prickle on the back of the neck. The Post Office is going to go mad when I send [the typescript] air mail. They think we are terribly extravagant anyway and this is going to make them think I am nuts. We give them more business that the whole town of Bruton. I have been happily digging in the foundations of one of the five cottages of Discove Manor of which the one we live in is the last remaining…. When a structure burned or was destroyed in war, the stones and bricks and tiles were taken to build something else. Just picking in the foundation of the burned cottage and quite casually, I have found bricks from five different periods, some hardly burned through and some hard, thin, and red, possibly Roman. Yesterday afternoon after work I went up on Cruch [Creech] Hill where some schoolboys are excavating under the direction of good people from the British Museum [including an archaeologist, Crystal Bennett, from Bruton]. A neolithic fort and on top an Iron Age fort and on top of all a Roman temple. The neolithic people built a wonderful system of walls and defenses…. And all of Somerset is littered with these great works.There must have been a very large and highly organised population. I wish you could feel this place, just let it seep into you…. It isn’t really country. It’s the most inhabited place you ever felt and there’s a goodness here after travail. There’s something here that clears your eyes…. I’ll send a squadron of Somerset fairies to zoom around you like mosquitoes – real tough fairies. The other night I discovered that fifty feet from our house, through a break in the trees, you can see St Michael’s Tor at Glastonbury. Elaine didn’t believe it until I showed her and she is so delighted. It makes this house so much richer to have the Tor in sight. Am I in any way getting over to you the sense of wonder, the almost breathless thing? Happy Independence Day! I guess we are the only people in Somerset who know about it. We are going to celebrate it by going to two church fetes, Bruton and one in a neighboring parish. These churches have been here since the 14th century. And the death watch beetle has been here even longer. Every summer the beetle ate away at the oaken beams and every winter they died of cold and actually they didn’t get very far. Then fifty years ago people became conscious of cold feet. The churches all put in heating systems. The result? No slack period for beetles. Extra generations and no time off. In fifty years they have been able to accomplish what they had failed at in the previous 600 years. I think of our ‘daily’ in Somerset, who served your lunch. She made a teddy bear with her own hands for our grandchild. Made it out of an old bath towel dyed brown and it is beautiful. She said, ‘Sometimes when I have a bit of rabbit fur, they come out lovelier.’ Now there is a present. And that obviously male Teddy Bear is going to be called for all time MIZ Hicks. Sunday today and Elaine and the boys churchifying. Wonderful to come back to Somerset…. The weather is that fine combination of sun and rain, probably the best time of the year. We had lunch at Discove yesterday and after went up to our cottage. It looked very pretty and we were very emotional about it. Kai Leslie [of Discove Manor] laid on a great luncheon of Scotch grouse and farmhouse Cheddar. The whole thing is like coming home…. Love John. Steinbeck: A Life in Letters ed. Elaine Steinbeck and Robert Wallsten, © 1975; © 1952, 1969 The Estate of John Steinbeck. © The Estate of John Steinbeck, 1978. Letters edited by Elaine Steinbeck and Chase Horton.